Despite losing two sons in combat, Miriam Peretz continues to speak to Israeli soldiers, inspiring them with her message. It is 8:30 in the morning. There is a heat wave here in Jerusalem, which rivals the heat in almost any place in the world. Dry. Still. Sandy. Hot. As the air conditioning pumps in my car, I am nervous and excited. Driving east out of Jerusalem on Highway 443 towards Givat Ze’ev, I’m going to meet the “mother of the IDF”—a woman whom The Jerusalem Post called a “symbol of hope” for Israel: Miriam Peretz. I met Miriam a few years ago after her son Eliraz was killed in battle in Gaza. We were celebrating my daughter’s first birthday while vacationing in Israel. My wife and her sister decided to invite a few families who had recently lost a loved one in war or a terror attack. In a country as small as Israel, it’s not difficult to get in touch with people. Someone always knows someone who knows the person you want to meet, and they are always eager to make the introduction. We reached out to various families, but I knew Miriam was special from the moment I met her. She is short in stature, but a giant in personality. In her early 60s, she has short curly hair, a long skirt, and a huge infectious smile. What I’ve learned about Miriam since the day I met her is that she is truly a giant amongst us. Her strength and character are unmatched. This might seem like hyperbole, but Miriam has earned it. In 1998, her oldest son Uriel was killed in Lebanon at age 22 while he was leading the elite commando unit Sayeret Golani into battle. 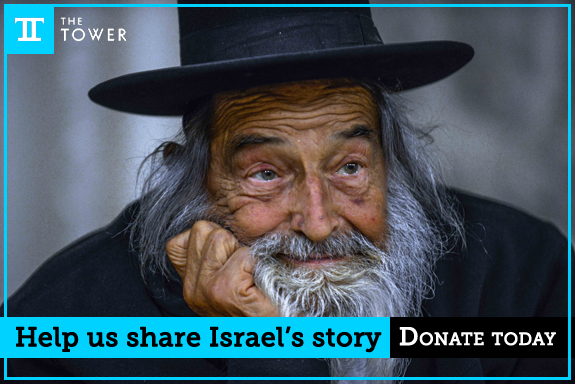 Seven years later, unable to deal with the loss of his first-born, her husband Eliezer died of a heart attack. As if this wasn’t enough, her second-oldest son, Eliraz—also in Sayeret Golani—was killed in 2010 during Operation Cast Lead in Gaza. Eliraz was a career soldier, having attained the rank of major. A Hamas bullet struck the pin of a grenade he was carrying on his bulletproof vest, detonating it and killing him instantly. The death of this father of three, who had already lost his brother to war and his father to heartbreak, rocked the nation. Thousands attended his funeral. This outpouring of grief was also caused by the fact that Miriam had begun speaking to army groups about Uriel, his leadership, his love for Israel, and her will to survive tragedy. She is thankful for what she has. And her determination was such that she signed a waiver to allow Eliraz to continue to serve as a combat soldier. Everyone in the army knew about the family. Theirs was a story of perseverance, Zionism, and strength—and then Eliraz was killed. Miriam survived with her indomitable strength intact. She continued talking to groups of soldiers, providing them inspiration, hope, a sense of love and purpose. After Eliraz was killed, she redoubled her efforts, sometimes speaking to three or four groups a day. But I wondered: How could a woman who lost two of her sons in combat and a husband to grief provide any inspiration to soldiers? Think about it. If you are an 18-year-old boy preparing to go to war, the last thing you want to do is hear a story about how two brothers were killed in combat, leaving a grieving mother behind. How can she be a “symbol of hope”? I know she is sought after. I know she dedicates herself to inspiring others. I know that Prime Minister Benjamin Netanyahu publicly praises her. And soldiers love her as well. I just never understood how she does what she does. I never heard her speak to a group of soldiers, but I heard that she leaves them inspired and motivated. I am excited to find out more about Miriam Peretz, so I’ve arranged to spend the day with her. First, breakfast at her home outside Jerusalem. 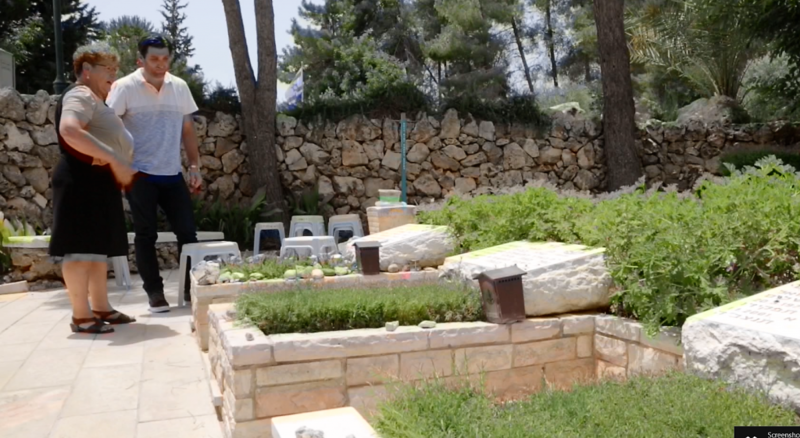 Then a visit to her sons’ graves at Mount Herzl Military Cemetery in Jerusalem. Finally, a drive together to an army base in Tel Aviv to watch her speak to a group of several hundred soldiers. We pull up to a nondescript building in Givat Ze’ev with a plaque reading mishpachat Peretz—the Peretz family. I walk around the small building, down two small flights of stairs to a small garden apartment, and knock on the door. I have no idea how she will receive me. She seemed willing to let me interview her when I called to set up the meeting, but we hadn’t really spoken in a few weeks. I am a very simple woman. You think I can change the world? I can change my family. My community. Easy. Easy. First with myself. I ask myself every morning and thank God for this day. That I can stand here and speak with you is a miracle. It’s a miracle to live, so when I wake up, I say, “If it’s a miracle, so what can I do with this moment? To spend a moment asking God ‘why me’? I will never have this answer. To say the country is not good? For what?” I ask myself what I can do this day for my nation. For my country. This is the only question that I ask myself after I thank God that I can stand, eat, drink. We are standing in her kitchen and the sparks already start to fly. It’s not even 9:00 AM and she is on the go. She can’t hold it in. The woman has so much energy that I know I will need the cup of coffee she offers me. She smiles and says, “You know when you tell me these things about my son Avichai, I ask myself one question: If Uriel and Eliraz had not have been killed would we speak this way? 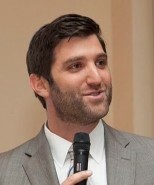 Would Avichai be able to speak publicly? I believe that each person has something inside himself. And sometimes this grows in the time that it’s needed. So because of that I think that the moments of crisis in our lives, we can grow from them. Why? Because we look within and we see how much strength we have. And sometimes this strength is discovered after the death of someone we love. But we have strength. I think that God gives each person in the world the strength to continue living… but sometimes you don’t know your own strength. And this crisis, you are broken, but from the broken, you build something new. How? With your strength. With your kochot [strengths] that God gave you before! I don’t feel that God gave me strength only when my children were killed on the battlefield. I feel that he planted this strength in my soul more before to prepare me for this time. How does a woman who lost two of her sons in combat summon the strength to speak to soldiers—let alone inspire them—multiple times a day? After serving me some very strong Israeli coffee, we move to her living room. The home is small, quaint, clean, and littered with photographs of her fallen sons. A large photograph of Miriam’s husband hangs on a column at the entrance of the house. I spot some small pictures on her fridge of what appears to be a recent wedding of one of her other children. It seems as if one of them hung the pictures to try to cheer up their mother when she is home alone. This is the house where Miriam raised her six children. She won’t move because it’s too full of memories. It’s not in great shape, and she seems embarrassed about that. She says she has no time for her home. She is now dedicated to her other children, her grandchildren, and the people of Israel. No time for herself. We both laugh. I catch myself, because I realize that behind the cute story is a woman who is speaking about her 22-year-old son killed defending the State of Israel. After only a few minutes with Miriam, you realize that her happiness and pain, sorrow and energy, are all completely intertwined. She smiles, cries, and laughs all in the same sentence. I am anxious to learn more about this amazing woman. “Can you take me back to what life was like for Miriam Peretz in 1997, before any of these tragedies happened?” I ask. She tells me about her family. She shares that she is one of five children. One of her brothers has Down syndrome, and she smiles with pride when she describes how her mother took take of her brother. She says she learned to love from him. After only a few minutes with Miriam, you realize that her happiness and pain, sorrow and energy, are all completely intertwined. 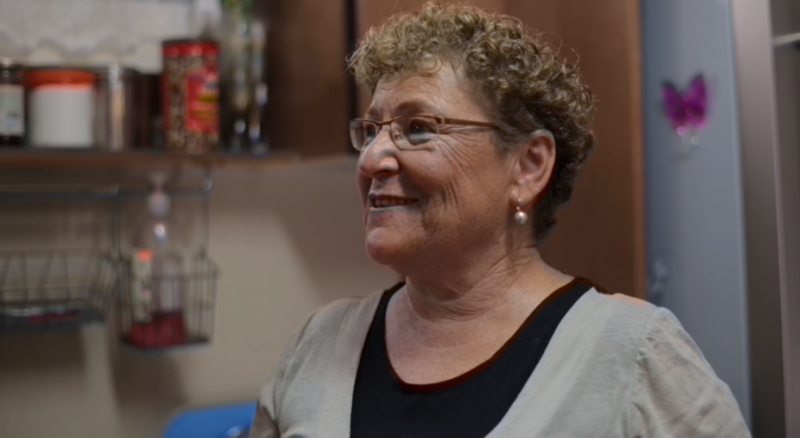 She remembers the days in 1997 when both Uriel and Eliraz were serving in Sayeret Golani. She worried. She slept with a radio on. She lived like every other mother in the State of Israel. She tells me she not only misses the smell and feel of her sons, but also washing their army uniforms and putting them out to dry. It is incredible to hear this from a woman who is now considered the mother of the IDF. We talk for a long while about Uriel and Eliraz’s childhood. She swells with pride over the things that every mother talks about. Her sons were sweet and kind. They helped others. Like many Israeli kids, they loved to hike. “How do you describe what you do?” I ask. “It’s a new mission that God gave me,” she says. “I began to do it after Uriel was killed. I meet with soldiers. I speak to them about leadership and about the values of my sons. I never speak to them only about death and darkness. I want to give them hope. I tell them to hold on to life. Life is very, very important for us. But what kind of life? I can spend my life building a new house, etc., but I understand after the death of my two children and my husband that God gives me every day time to live. What do I want to do with these moments? To waste them or to do something with meaning? When I meet these people, I don’t understand how they say they take from the meeting strength to continue. I get maybe 5,000 letters from people from Israel and around the world that say how I influence them, and I ask myself, me? Me? At the end of the day what do I do? The first time she spoke publicly was to a group of officer candidates on Mount Gilo in Jerusalem in 1999, one year after Uriel’s death. She stands up and walks over to her bookcase and shares an incredible book with me. She explains that she gave the soldiers the notebook and asked them to write memories about her son Uriel, their commander. A few days later, she says, they returned a notebook full of letters to her about her son. We spend the next few minutes reading some of these amazing personal letters. Letters to a grieving mother. Letters about her son. About Uriel’s leadership. The letters spoke about how he not only taught his soldiers how to fight, but how to fight with faith in God. He taught his soldiers about loving the land of Israel. The letters are breathtaking. I sit and flip through them in awe. 1. The Land of Israel. 2. Love of the land. “For your father the Land of Israel was a dream. For your son Uriel it was loving the land. What is the Land of Israel for you?” I ask. Suddenly, the phone rings, giving us a break from this intense moment. She looks at the phone and decides not to answer. I use the break to ask her the question I’ve been thinking about from the moment I walked in: Will she talk to me about the pictures on the walls? She tells me that her children only allow her to hang pictures of Uriel and Eliraz on one wall, afraid that she will turn her entire home into a memorial. We talk about each of the pictures. Each has a story. Each has a memory. Under the pictures sits an old brown couch with worn-out cushions. I ask her if there is a story about the couch. She explains that she just couldn’t get rid of it. “I was sitting here,” she says. “It was a Friday. Three days before Passover. I just finished cleaning the house for Passover. And I wait for my son Eliraz to come be with me. When I was here on this couch, I saw, through the glass, uniforms, and I understood that if someone comes here with an army uniform, something bad happened. The level of pain that this woman has suffered should be unthinkable. It should be unimaginable. But it’s real. “Then I sat back down on the sofa and stayed here maybe half an hour. Then I don’t know who opened the door or how they got in, but when I saw them, I stood up and ran towards them. They were big. I don’t understand how I did it. I took my hands and shut their mouths with my hands. And I told them, ‘Don’t say a word! Don’t deliver the news! Don’t say any word, because as long as you don’t say this horrible news, my Eliraz still lives. For one minute more! Give me my son Eliraz for one minute! Don’t say! I don’t know where I get the strength to stand and to put my hands on their mouths. Standing in Miriam’s living room, following her as she shuffles back and forth from the sofa to the door to the picture of her husband to the shutters and back to the sofa, all while she is recounting one of the most difficult days of her life, is a surreal experience. The level of pain that this woman has suffered should be unthinkable. It should be unimaginable. But it’s real. She is real. This happened to her. She is right in front of me. But rather than spend her days in bed depressed and angry, she spends her days talking to soldiers, bereaved families, and today, me. She woke up this morning, cleaned her home, prepared some food, put on a nice dress, earrings, her shoes, and is moving forward with her life. The best she can. We get in the car and drive to Mount Herzl. I am already emotionally drained. Now I am having second thoughts. Will it be too much for me? For her? The drive is only about 10 minutes. We pull into the famous cemetery, the burial place of prime ministers, presidents, and thousands of fallen soldiers. I have visited here as a tourist, but this is entirely different. We get out of the car and stand on a ledge overlooking the section where Uriel and Eliraz are buried. Miriam’s mood instantly changes. The tone of her voice becomes more serious. She shows me how even though the graves of her sons are in the same section, they are in different rows, about 30 feet from one another. This causes her much pain and even anger. Each time I come, I have to decide which grave, which son, to visit first. Sometimes I stand here and I think and sometimes my legs go to Uriel, but my heart goes to Eliraz. Sometimes I only stand and I say, “God why do you do this to me? Why must I choose one of my children? It’s not fair. It’s not right. It’s not natural for a mother to have to choose.” Now today I want to know because I want to speak to Eliraz about the new house that we fixed for his wife and children. A huge smile suddenly comes over her face. She is genuinely excited to tell Eliraz about how she is taking care of his family. We sit by Eliraz’s grave and she spends a few minutes looking at the dozens of notes that visitors have left for her and for Eliraz. She reads each one and smiles. It is clear that she is proud that her sons are visited by soldiers year-round. That they inspired others. That others are inspired by them. They have given themselves to the nation of Israel, and it seems that Miriam understands this and is glad that the people of Israel recognize it. Miriam starts telling Eliraz about how she raised money from his brothers-in-arms to renovate his house. She tells him that she is taking care of his family. That she forced his wife to move to a mobile home for an entire year so her house could be renovated, making it a nicer place for her and her children to live. She turns to me and tells me that the huppah at Eliraz’s wedding was a huge flag of Israel. They hung that very flag in front of the house. Miriam fills a bucket of water and washes his tombstone. We sit under a big tree on a small stone bench, hiding from the sun and recomposing ourselves. The shade is much welcome, and the Miriam that was serving me coffee and watermelon a few hours earlier is suddenly back. She is not yet smiling, but her warmth and strength seem to return to her body. She begins to speak. But, it’s not a private moment. One thing that happened to me. After my two children fallen, I have not a private moment in my life. It’s finished. I didn’t ask this for myself. I didn’t ask no one to know me. I didn’t want to be famous in this land, or in any place. But this is the situation. Here are Uriel and Eliraz, we lost our privacy. We lost it. Because Uriel and Eliraz are the children of all am Yisrael [the nation of Israel]. Because here, not only I come and sit here and cry. Here, many, many people come and cry. We’ve become a symbol in this land. But we didn’t choose to become a symbol. Suddenly, a tall, athletic soldier in uniform with long hair and a ponytail shows up. Keren is a commander in the IDF. She is here to pick up Miriam to speak at her base. She seems surprised that I am there and plan to come to the base with them. Surprised is probably not the right word. She seems bothered. “He’s spending the day with me, so he’s coming to the base with us,” Miriam says. I jump in the back of the car, a small white Audi, before she changes her mind. Miriam appears to be composing herself. Keren continues to look upset that I am here. I need to do something to change the mood. Then, as we are driving through the Jerusalem hills, eating falafel wraps we picked up along the way, a song comes on the radio. I can’t resist. I tell Keren to turn it up. She looks at me like I’m crazy. I ask again. She turns it up. I start to sing along. I had to sing. It is a rule in life. Classic songs on the radio must be sung. Keren is left with no choice but to smile. Then the big surprise came. Miriam began to sing along with me. And you’ve got us feeling alright. There it was. Billy Joel. A common language. A common feeling. A release. I think Miriam and I both needed it. I look at her and we both smile. “What song is that?” Keren asks. Both Miriam and I look at her like she is crazy. Suddenly, we all start to laugh. The drive lasts an hour or so. Miriam and Keren spoke at length. I sat in the backseat and listened. They spoke about the fact that she had been trying to get Miriam to speak at her base for a year. Her soldiers need it. She had heard of Miriam’s speeches and wanted to give her soldiers a boost. We pull up to a dusty base from the pre-state era. Security is tight. We are told to wait. I try to convince them that we already have approval to be at the base with Miriam, which we do. They don’t seem to care. All they say is “wait.” So we wait. And we wait. It’s hot. I am antsy. Miriam is calm, cool, and collected. She looks like she’s been through this a million times. I look over at her and she just smiles. When Miriam smiles you understand how special she is. Her smile is genuine. It doesn’t matter that we just spent the entire morning talking about the death of two of her children and her husband. It doesn’t matter that we just came from the national cemetery where her boys are buried. It doesn’t matter that we’ve shed tears. She smiles. Her face is warm. When she smiles, her wrinkles seem to smile with her. Her freckled and bespectacled face is as sweet as can be. She too tells me to wait. Miriam gets out of the car, and the show is on. We walk into the auditorium. There are approximately 200 soldiers listening to their commander introducing Miriam. Miriam then spends almost two hours with the soldiers, sharing her love for Israel and the importance of their role in the history of the Jewish people with great emotion and detail. She pours her heart and soul out for these soldiers. By sharing the lives of her sons with them, she shares the messages that her sons passed on to their soldiers. This continues their legacy. The auditorium is entranced. Every word she says seems to be piercing the audience’s heart. There is an inexplicable connection between Miriam and each of these soldiers. When she finishes, the place explodes in applause. After a short presentation from the commander, we walk out of the hall. The soldiers are released a few moments later. All 200 begin to file out of the auditorium into the desert sun and the chase is on. They surround Miriam, blocking her way to the waiting car. Two hours were not enough. There is a line of soldiers waiting to talk to her personally. Hug after hug. Tears are flowing. One young female soldier says, “I never had the honor of meeting you before, but always wanted to. I never knew there were people as strong as you in this world.” Miriam tries to deflect the praise. Shaking her arms, Miriam says she is not strong, she just eats a lot of ice cream and cheese. The soldiers laugh, but the tears on their faces are visible. This goes on for about half an hour. Her energy is amazing. As the crowd thins out, she walks up to some soldiers standing in the back and makes sure to speak to each of them. Miriam leaves no one out. I am exhausted, but she keeps going. It is mid-afternoon and the desert heat is stifling. You wouldn’t know it looking at Miriam. She has all the time in the world for these soldiers. Finally, we make it to the car. Miriam looks at me and says, “Are you coming with me to the next base?” I can’t believe it. I’m spent, so I tell her that my road ends here. We hug and I thank her for letting me into her world for one day. Before I know it, she is back in the car with Keren on her way to the next base. How does this woman have the emotional strength to do this, day in, day out? Miriam is an incredible person. She has directed her tragedy and suffering into a cause. She continues to mother her lost boys by being a mother to the IDF. She is full of emotion. A blend of happiness, sadness, excitement, and despair. She often laughs and cries in the same sentence. You cannot help but admire, love, and feel for her all at the same time. Her perseverance and refusal to be brought down by the tremendous tragedy that she has suffered is a reflection of the story of the Jewish people.